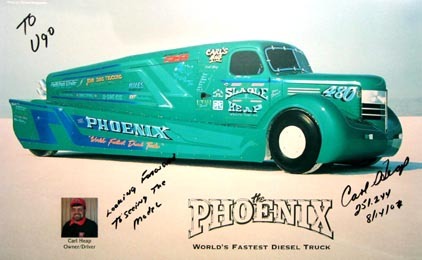 In 2001 Carl Heap's The Phoenix diesel truck became the fastest diesel vehicle on earth, under any sanctioning body, with a record speed of 251.244 mph. 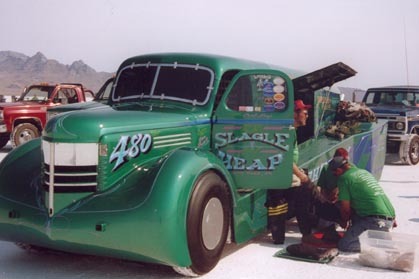 For comparison, the fastest FIA International record held by a diesel streamliner is a mere 236 mph. 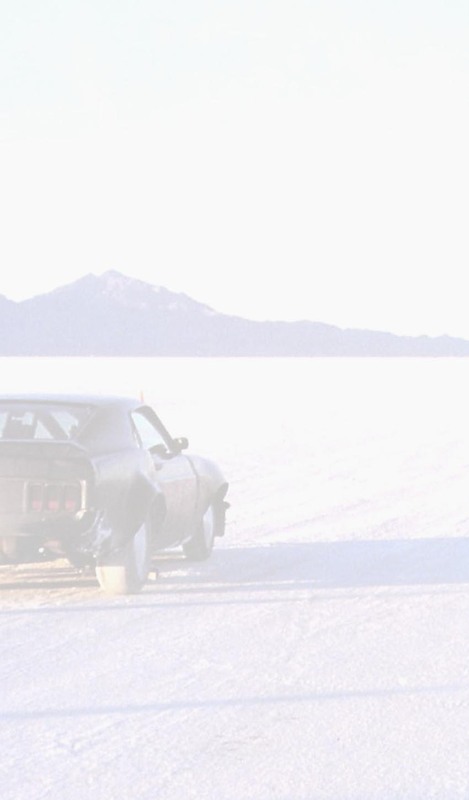 Last August, at Speed Week 2003, with new rear streamlining and a front spoiler, The Phoenix raised the record up to 272.685 mph. Read all the story here. 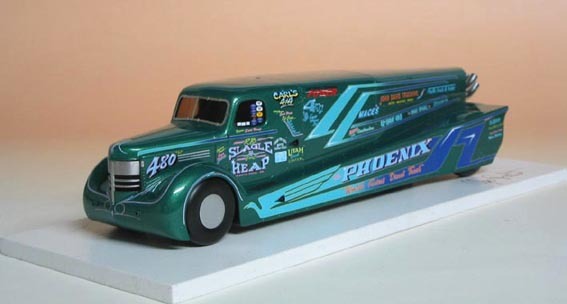 This model was realized with the enthusiastic support of Carl Heap and his son Travis, who supplied the drawings and measurements on which the model is based. Thomas "Pork Pie" Graf took dozens of detail photos specially for me and provided lots of help and support. 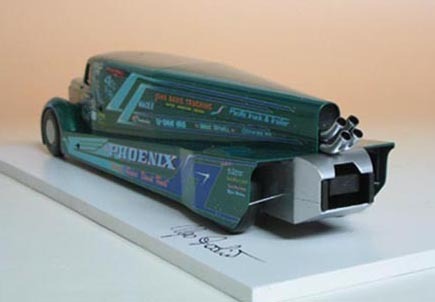 Many thanks to them for allowing me to make an accurate replica of a truly unique land speed vehicle! Click HERE if you want to buy this model.